These pages are about alcohol and epilepsy in the UK. 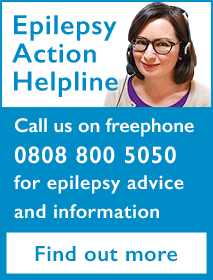 If you are looking for information about alcohol and epilepsy in another country, please contact your local epilepsy organisation. For most people with epilepsy, drinking small or modest amounts of alcohol does not make them more likely to have seizures. But drinking larger amounts of alcohol can cause seizures in people with or without epilepsy. Read on to find out more. Can I drink alcohol when I have epilepsy? Drinking small or modest amounts of alcohol is unlikely to make you have more seizures. But moderate to heavy drinking over a short space of time can make you more likely to have a seizure. You are most at risk of having a seizure between 6 and 48 hours after you have stopped drinking. For some people, drinking alcohol can mean they get less sleep or forget to take their epilepsy medicine. These are both things that can make you more likely to have a seizure. How much can I safely drink? Everyone is different, so how much someone with epilepsy can drink varies from person to person. There are no official guidelines about drinking alcohol for people with epilepsy. But if you do choose to drink, you might decide to follow the NHS guidelines about low risk drinking for everyone. These say that men and women should drink no more than 14 units of alcohol a week. You can find out more about the guidelines and alcohol units at Drinkaware. Is it safe to drink alcohol with my epilepsy medicine? Excessive drinking can reduce the amount of some epilepsy medicines in the body. This could make you more likely to have a seizure. Alcohol can also increase the side-effects of some epilepsy medicines. Some people say that drinking alcohol when they are taking epilepsy medicine makes them feel drunk quicker. The leaflet that comes with your epilepsy medicine should tell you if alcohol interacts with your medicine. If you do drink, it’s important to keep taking your epilepsy medicine as usual. Missing a dose could make you more likely to have a seizure. Can alcohol cause seizures in people who don’t have epilepsy? Yes, people with or without epilepsy can have seizures after heavy drinking. These are known as alcohol withdrawal seizures. They are most likely to happen between 6 and 48 hours after your last drink. You could have alcohol withdrawal seizures if you are alcohol dependent and stop drinking suddenly. Signs of being alcohol dependent include a strong desire to drink and finding it hard to control your drinking. If you think you may be alcohol dependent and want to stop drinking, it’s important to get medical advice about how to stop safely. This is to reduce the risk of seizures and other symptoms of alcohol withdrawal. If you are not alcohol dependent, you could still be at risk of alcohol withdrawal seizures if you drink heavily over a short space of time. Sometimes alcohol withdrawal seizures can develop into status epilepticus. This is when a seizure lasts longer than 5 minutes, and can pose more danger than shorter seizures. Where can I get help and advice about drinking? Your family doctor can give you advice on cutting down or stopping drinking. They may refer you to a service to help you safely reduce the amount you drink. Epilepsy Action would like to thank Dr John Paul Leach, consultant neurologist at the Queen Elizabeth University Hospital, Glasgow, for his contribution to this information. Dr John Paul Leach has declared no conflict of interest. Hi All, I liked your above-mentioned details and I have a question. I don't drink regularly (I haven't drunk for the last 3-4 months) but in the last month, I got to know that I'm suffering from epilepsy and I'm on medication now. I have to attend a party in next few days and I'm sure I'll need to drink there. However, I have control on myself and I'll not drink more than 1 quarter (1/4th of a liter bottle) and a few cigarettes too but I'm still worried about the consequences. It can be tough knowing that too much alcohol can make seizures more likely. I hope you find a way to stay safe and enjoy the party. For most people with epilepsy, drinking small or modest amounts of alcohol does not make them more likely to have seizures. But drinking larger amounts of alcohol can cause seizures in people with or without epilepsy. We have more information on the above alcohol webpage. I've been told by every doctor I've seen not to drink with my epilepsy medication. At present I'm on Epilim Chromo (enteric coated) 2100mg per day; Zonisamide (zonigram) 500mg per day; and Clonazepam (which can be used for epilepsy, [and Depression which I also suffer from], plus Parkinson's and SAD. Why is that most of the people on this forum are drinking? I've never touched a drop even when on less tablets! It does sound like you are doing exactly the right thing for you. Particular epilepsy medicines can make some people feel drunk much more quickly. It’s possible the effect is even more likely when you are taking more than one epilepsy medicine. I think you would find that very many people with epilepsy either don’t drink, or only drink in moderation. The comments on the alcohol page are possibly not very representative. I was diagnosed with epilepsy around 3 years ago, I'm 18 now. I know it sounds a bit daft but , I'm just thinking of my health and my seizures. Not had a seizure since February 2017 but I'm just worried how much I can drink. I don't drink a lot really but it'd be good to know a rough guideline if anyone could help? I just want to be aware so I can stop before I know it can cause damage. On lamotrogine teva if that helps. Any advice would be great. I'd really appreciate it. I can’t find anything which says you must not drink when you are taking Topamax on its own or in combination - other than following your usual epilepsy guidance about safe drinking. This is the Topamax patient leaflet in case you want to check. In case it is helpful here is a link to our pages about alcohol and epilepsy as well. Have a lovely festive season!